A modern monster of gain - everything you love about high gain but with that contemporary depth, aggression, clarity and power to blow every other pedal away. With the now famous Wampler 3 band active EQ to sculpt the tone perfectly, also included is a gain switch giving you two different styles of distortion. Open - is, as you might guess, extremely open and free - minimal compression with maximum tone. 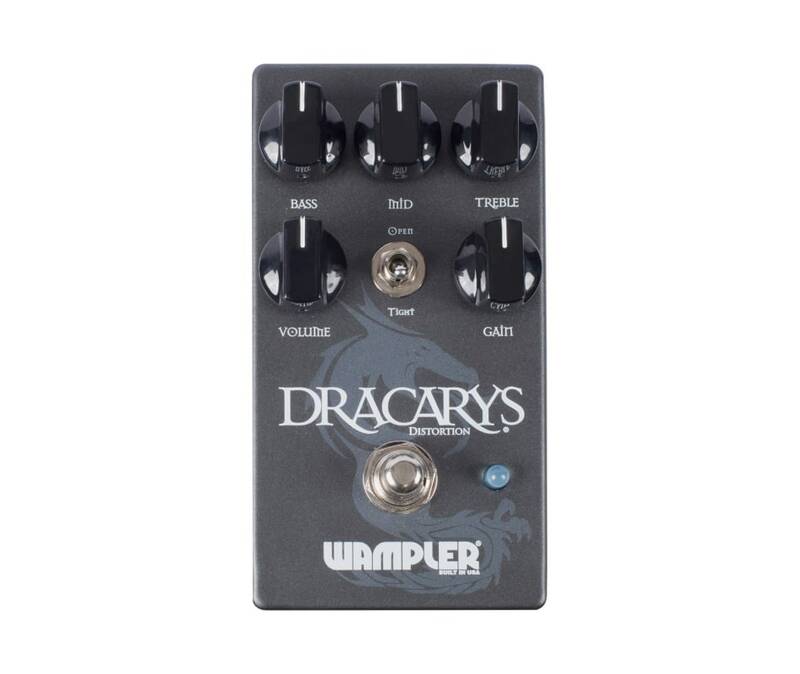 Tight brings in a natural compression, like a tube amp being driven to the very edge - the great thing about the tight is that when on a lower gain setting it can do a really good lower gain tone as well, this setting makes the Dracarys one of the most versatile modern distortions available today. There is no waste with this pedal, all tones are useable and easily available.